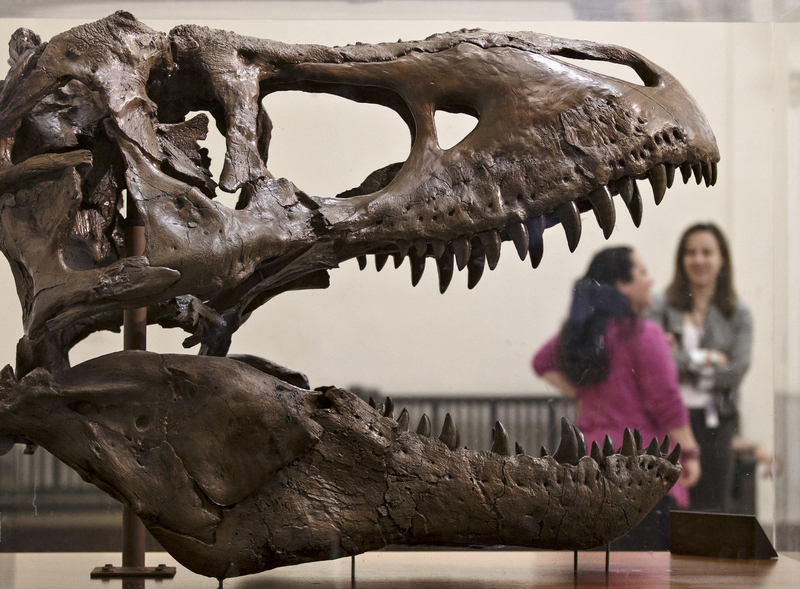 Washington (AP) – Tyrannosaurus Rex and his buddies could be on the move as a new study proposes a massive shake-up of the dinosaur family tree. Scientists who took a deeper look at dinosaur fossils suggest a different evolutionary history for dinosaurs, moving theropods such as T. Rex to a new branch of the family tree and hinting at an earlier and more northern origin for dinosaurs. The revised dinosaur tree makes more sense than the old one, initially designed more than a century ago based on hip shape, said Matt Baron, a paleontology doctoral student at the University of Cambridge in England. He is the lead author of the study in Wednesday’s journal Nature. “If the authors are correct, this really turns our longstanding understanding of dinosaur evolution upside down!” Kristi Curry Rogers, a paleontologist at Macalester College in Minnesota who wasn’t part of the study, wrote in an email. Dinosaurs are split into two groups. One group has bird-like hips and is called Ornithischia (or-ni-THISS’-kee-a). It includes the stegosaurus. The group with reptile-like hips is called Saurischia (saw-RIS’-kee-a), and includes the brontosaurus. Theropods, which include T. Rex and the type of dinosaurs that later evolved into modern day birds, were considered an offshoot from the group that includes the brontosaurus. The new study moves them to the group that includes the stegosaurus, but on a different branch. “It means that animals that we’ve always thought were very closely related to each other might not be,” said Rogers, who praised the study, saying it prompts a whole bunch of new questions. Baron and colleagues looked at 450 characteristics of 75 dinosaur species. They used computer simulations to try to group together those with similar characteristics, creating tens of thousands of potential dinosaur family trees. The proposed one combines the 80 most likely scenarios, he said. It may sound like an academic exercise, but it’s important to understand how big animals changed with time, said Baron said, noting that the dinosaurs ruled Earth for more than 150 million years. His research suggests that dinosaurs popped up 247 million years ago – 10 million years earlier than the standard theory says – with a dinosaur from Tanzania in East Africa. It’s called Nyasasaurus, was 6 to 10 feet tall and a plant-eater. He also found an animal that’s not quite a dinosaur, but as close as you can get, that is a reptilian ancestor. And it was in Scotland. Previous theories pointed to dinosaurs first evolving out of the Southern Hemisphere and many outside scientists said there wasn’t enough evidence to support Baron’s northern concept. Matthew Carrano, dinosaur curator at the Smithsonian Natural History Museum, said it’s hard to side with any theory because early dinosaur fossil records are so incomplete.